Cami and I are getting SO excited for the 25 Acts of Kindness Challenge. It's going to be so much fun! If you missed my post on Friday announcing it read it now. In short, I find that doing small and simple things for my wife strengthens our marriage and our friendship and helps us to be happier. I fall increasingly more in love with her as I do kind things for her and as she does them for me. 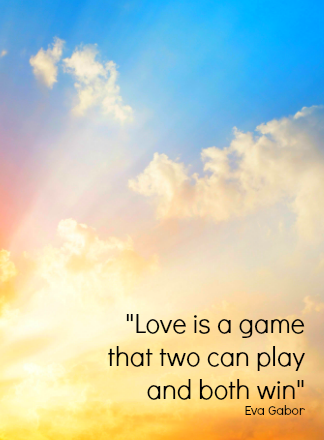 To provide additional motivation for us to do kind things for each other and to help motivate other couples we challenge you to a competition. It's called the 25 Acts of Kindness Challenge. The challenge works like this: beginning at 9am EDT on Monday, October 7th the race is on. You and your spouse must perform 25 acts of kindness for the other (50 in total) as quickly as possible. Keep track of the acts of kindness and who did which. When you're both done submit that list to me. The first three to do it win a prize. Everyone who participates will have fun and strengthen their marriage. You do not want to miss out on this. It's going to be a lot of fun for both you and your spouse and if you're fast enough you'll win a prize. Remember, the sign up opens early on Friday morning so mark your calendar! Today we need to get down to the "business" end of the competition, the nuts and bolts if you will. We need to establish the ground rules and talk about the prizes. First, let's do the rules. You may NOT repeat any of the actions. For example, if I pick a flower for my wife and give it to her I cannot do it again and have it count toward my 25. However, she could give me a flower and it would count toward her 25. You and your spouse may not end up with identical lists. You may both do a few of the same things but there must be definite variety. While each of your 25 actions does not need to be stupendous and "show stopping" each should be meaningful and from the heart. 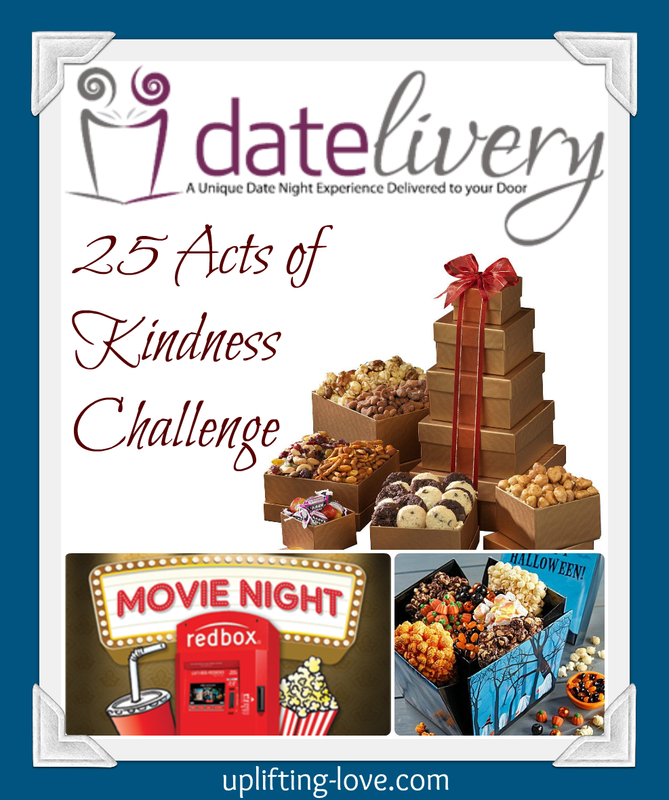 The first three couples to complete the 25 acts of kindness AND submit their lists to me will win a prize. The first will pick which of the three they want, the second will pick from the remaining two, and the third will receive the last prize. Great. That's out of the way. If you have any questions please ask them in the comments and I will respond as quickly as I can. Now to the good stuff...the prizes! Cami and I thought and thought about this. We didn't want to break our bank but at the same time we wanted the prizes to be worthwhile. They also needed to appeal to a broad audience as each couples' tastes differ. It wasn't easy but we've enjoyed doing it. A Halloween Smile Box AND a Redbox gift card for 5 movie rentals! We're getting super excited and we hope you are too!! If there needs to be variety between our lists, does it mean I need to compare my list with my husband's before the challenge or can it be a surprise? Great question! It can be a surprise (and is more fun that way!). What we don't want is the wife doing five nice things for her husband and then he does the exact same five things back to her (or vice-versa though I think what I described is more likely). Competition Sign Up Now Open!! Madison Wood Gym Set Giveaway! How Many Reminders Do You Need? "Why are you never gonna leave?"